Dear friends, co-workers, customer, channel partners and visitors, thanks for surfin' in. My virtual planet of technology represents most of the stuff I was doing in my different jobs and evaluating new solutions. Those who haven't met me in the past, I like to summarize who I am and what I do. I live in Germany and being a technical and business development professional for a High Tech company. My daily work involves more things than just doing presentation or trial installations. I really like the combination of building awareness and trust around my work by doing things a bit different and enhanced. This has been seen as a huge benefit for small organizations and startup companies. Those activities are not only presenting solutions to IT staff or up to C-Level, but also perform trials myself or support channel partners in their trial installs are key to success. With every new challenge I learn new things, what I can add into technical workshops, marketing activities or technical roundtable discussions. Very important is the knowledge transfer to channel partners and customers. I am covering Germany, Austria & Switzerland (DACH) since 1995 and enjoy my work every day. There are also a few endorsements on my Linkedin Profile. 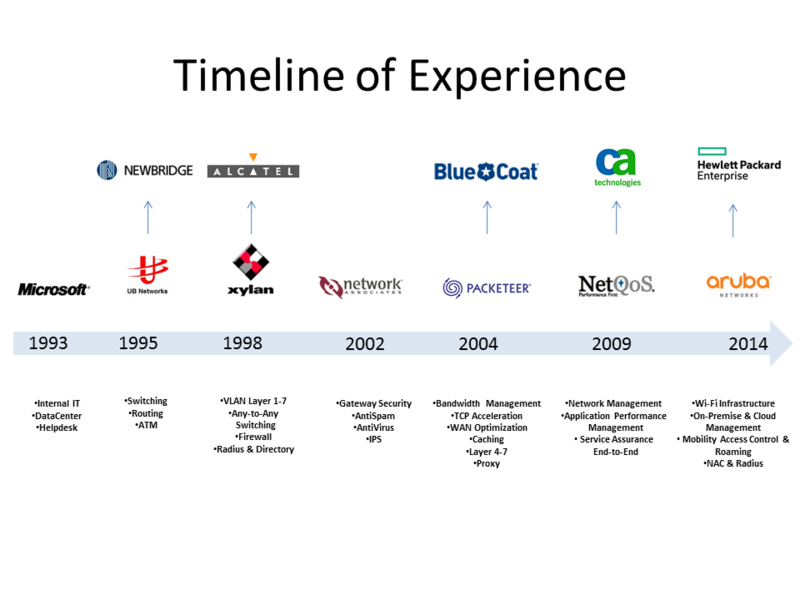 Another slide, I like is my timeline of experience. More about me can be found on XING and Linkedin.